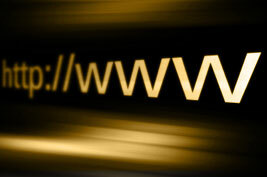 The domain name is the exclusive address of a page on the internet. The country code Top-Level Domain “.cr” as well as the rest of the second and third level for Costa Rica is administered by the National Science Academy (www.anc.cr), through its office NIC – Internet Costa Rica (www.nic.cr). TRADEMARES makes easy to obtain, maintain and defend the country code Top-Level domain name (.cr) and of the generic Top-Level domain name (among them, com, .net, .org) in Costa Rica. TRADEMARES is specialized in recovering and defending the domain names through the Uniform Domain Name Dispute Resolution Policy administrative procedure at the World Intellectual Property Organization (WIPO) Arbitration and Mediation Center, where expedite results are obtained. Indication of the applicant´s company name. Indication of the requested domain. Name of the company in charge of the server with its e-mail address. The applicant shall grant a POA in favor of TRADEMARES and its lawyers. The POA shall have the grantor´s signature duly authenticated by a Notary Public and be legalized before the Consulate of Costa Rica in the country of origin. Photocopy of the identification card (if the applicant is a natural person) or corporation card (if the applicant is a company). In the event that the applicant is a company, a Certificate of the legal representative of the company shall be filed with no less than 1 month of being issued. Affidavit that the applicant is the holder of the trademark or it has obtained authorization of the trademark holder. ALL the documents to be filed before the Registry of the Industrial Property of Costa Rica shall be in Spanish or come with its translation in Spanish. TRADEMARES may offer the translation service. The cost of it is determined according to the fees filed by our translator and interpreter. We are not responsible for the technical precision of the translation. Previous to the registry, TRADEMARES carries out a search of the interested domain name on the data base of the Registry of the Industrial Property of Costa Rica, with the purpose of proving that no trademark exists that can constitute an obstacle to the registration. Once this formality has been undertaken, TRADEMARES will start the process of registration of the domain, directly before the NIC-Internet Costa Rica. The rate is of US$ 200.00, including the registration fee of US$ 80. We guarantee that there are no additional costs for sending updating reports in relation to the file and that all the expenses will be previously informed for your approval. The validity term of the registry of a domain name is of 1 year, renewable indefinitely, previous payment of the renewal fee. NIC-Internet Costa Rica offers more favorable rates, in the event that the renewal is paid in advance in two or five years. TRADEMARES recommends to turn to the Center of Arbitration and Meditation of the World Intellectual Property Organization when the trademark holder´s interest is to obtain, recover or cancel a domain name that a third party has registered illegally or with the purpose of taking advantage of the consumer confusion. This organization regulates the Uniform Domain Name Dispute Resolution Policy administrative procedure, in an effective and practical way. Once the claim has been filed, the procedure does not last more than three months. This is a great improvement in comparison with the procedures before national courts which take more time and where jurisdiction problems usually arise. The main advantage of turning to this procedure is that the result is binding on the domain registrar, EXCEPT if a judicial procedure is filed at a national level. Also, when the registrar is notified of the claim related to a domain name it usually puts it in suspense which allows the real trademark holder to avoid further confusion to the consumer. Generally the results are accepted by both parties and the procedure is enough to resolve the situation. For more information in relation to this UDRP administrative procedure regulated by OMPI please address your question here. The WIPO’S Center fees ranges from 1,500 dollars to 5,000 dollars depending on the number of domain names involved and the names of experts (one or three) which are requested to solve the controversy. As all procedures, the cost is defined according to the effective time dedicated to the study of facts of the concrete case and the collection of the necessary evidence, jurisprudence and WIPO´s favorable resolutions, to support the defense arguments. TRADEMARES´ schedule of professional fees is established in the following way: US$75 per assistant hour, US$125 per junior lawyer hour and US$200 per senior lawyer hour. Aside from the filing fee, the following shall be established as expenses: obtaining evidence, legalization of documents, certified mail deliveries of the claim and evidence copies to the involved parties, the cost of photocopies, since there are up to four complete copies (including the evidence) to be provided to the procedure, and translation cost, if necessary. .